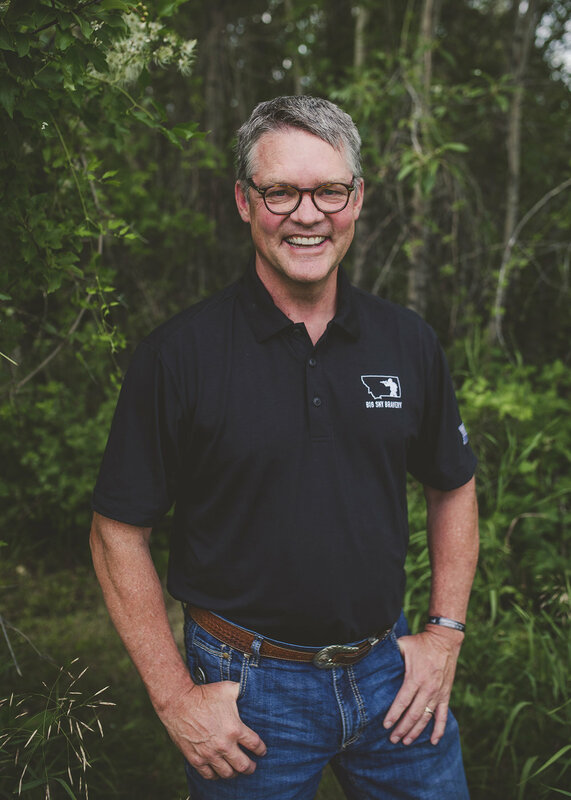 Dustin was born and raised on an Angus cattle ranch in rural Central Montana; a place where hard work, honesty, integrity and fortitude were woven in the fabric of the American west. As a lifelong native of this great state, Dustin understands and treasures the restorative, galvanizing power of the mountains, rivers and lakes across the majestic Big Sky Country. As an outdoor enthusiast, Dustin reveres his time in the wilderness with his wife (Shannon), his daughter (Ryan), his friends, and the remarkable individuals in our Special Operations Forces. As Chairman, Dustin strives to ensure Big Sky Bravery remains a viable organization in perpetuity so the honorable men and women serving in the most elite echelons of America’s military can experience Montana’s regenerative and stimulating capabilities, while returning to continue to defend our nation’s freedom. Prior to Partners Surgical, Schwing founded National Cardiovascular Partners (NCP), an owner and operator of outpatient cardiac catheterization and vascular labs. During his tenure at NCP, the company partnered with Bain Capital, one of the world’s leading private investment firms, to accelerate growth and increase operating capacity. By 2014, NCP had a growing national footprint, and was acquired by Fresenius Medical Care North America (FMCNA), one of nation’s largest healthcare conglomerates. A lifelong entrepreneur, Schwing founded several other successful companies including National Billing Partners, Specialty Therapeutic Care, Physicians Surgical Care, and Southwest Renal Care. Schwing was named the Ernst and Young Entrepreneur of the Year 2010, and was recognized as an Outstanding Entrepreneur by the Texas State House of Representatives in 2011. He is the former chairman and a charter member of the Gulf States Chapter of the Young Presidents Organization (YPO), a founding member of the Gulf States Chapter of the World President’s Organization (WPO), and has served on the boards of several charitable organizations and educational institutions. Schwing earned both his Bachelors degree and MBA from the University of Texas at Austin, and is a 2003 graduate of the Owner-President Management Program at the Harvard Business School. He and his wife Liz live in Houston, Texas and Bozeman, Montana, and have three adult children. For additional information, please visit: Ned Schwing LinkedIn. “At age 6 my father put a shotgun in my hand and took me out in to the woods to go hunting. When my son turned 6 I did the same. Although raised and living in the city my whole life, our family always found time in the summers to come out west. 10 years ago my son, who serves in our nations’ military put a fly rod in my hand. For the past 30 years, my family and I have witnessed the magical and restorative powers of our wilderness and more specifically the western US. Abraham Lincoln once said to the citizens of a battle-weary nation that we must “care for him who shall have borne the battle”. I joined Big Sky Bravery because our SOF community makes EVERY sacrifice so that we may enjoy the privilege of personal freedom. For these few men, we owe them EVERYTHIING in return. For those that understand the power of God’s creation in the western US, you can then begin to comprehend how powerful these experiences are for these brave men. I am privileged to be a part of BSB. Growing up in Montana and having a father in the military makes Big Sky Bravery a perfect fit for Mitch. Getting to work with great men like this and showing them what Montana has to offer has proven to be one of his biggest passions. "Seeing the smiles on the faces of these men lets us all know they are at the right place at the right time." Mitch grew up in Deer Lodge, MT and spent most of his life in various towns throughout Montana. He played football for Rocky Mountain College where he received degrees in Business and Exercise Science. Mitch spent many years in the fitness industry and now pursues a career in real estate in Bozeman. He enjoys skiing, hiking, camping, and exploring all of Montana with his wife, Emily, and their two dogs. Big Sky Bravery has given me the privilege to meet the very best of what America stands for, individuals who make sacrifices every day and continue to endure. They are the heart and soul of America. We have only six days with these heroes to decompress, energize, build trust and brotherhood for years to come. We provide the personnel and activities... Montana provides the adventure, beauty and solitude. While getting to know these men during the week, they have made me laugh, touched my heart and most of all made me proud. My hope is that BSB will be there for them for years to come. Shawn is a fourth-generation Montanan who grew up near Clyde Park. He graduated from Helena College of Technology, then spent four years in banking. He soon discovered his desired career was in the brokerage and investment planning side of the business. Now 30 years later, he continues to help individuals and families pursue their financial goals. Shawn is a strong contributor to the Bozeman community. He has been a resident of Gallatin Valley since 1983. Shawn is married to the love of his life, Meg, with family Hannah (Andy ) & Chad. Charlie is a firm believer in service, both individually for his country and professionally. Since graduating law school at the University of Montana, Charlie has worked as a legislative fellow in the U.S. Senate, co-founded a startup technology company, and has advised companies and partnerships as both in-house and outside counsel. Charlie is also a Major in the U.S. Army JAG Corps (National Guard). As an Iraq War veteran, Charlie understands the critical importance of Big Sky Bravery’s mission and is honored to serve on the Board to help ensure our nation’s elite forces receive the support and recognition they need and deserve. Holding a profound appreciation for the courage, talent and sacrifices of the men and women of the United States armed forces, Andrew immediately offered to work with Big Sky Bravery when he learned of its privately funded, unique focus on assisting and supporting America’s small community of active-duty, elite warriors. Andrew and his family have made their home in Bozeman, MT for almost 20 years. A long-time entrepreneur, he founded Bitterroot Capital Advisors, LLC in 1998 as an independent firm dedicated to providing comprehensive, financial advice and service to a select group of private clients and their family offices worldwide. Before founding Bitterroot Capital in San Francisco, Andrew spent more than ten years advising public and private corporations as an investment banker in San Francisco and in New York. Martzloff previously served as director and board chairs of both PERC (a Bozeman-based think-tank supporting free-market environmentalism) and Juma Ventures (serving at-risk youth) in San Francisco. Andrew earned his BA from Stanford University and an MBA from Dartmouth’s Tuck School of Business. After growing up in the south and occasionally playing in the Appalachian Mountains, Dave headed out west to play in the Rocky Mountains as an adult. The mountains have become his home, where he works and plays. He spent 10 years as a ski patroller at Crested Butte and Moonlight Basin, a few years working with at-risk youth in wilderness programs, and many years building things from furniture to homes. In his free time, Dave enjoys mountain biking, hiking, fishing, skiing, and standing on top of mountains. He currently lives on a ranch with his wife, son, 2 dogs, 1 cat, and too many horses. Blake currently resides in Bozeman, Montana with his wife Abby and their two dogs. He loves to live, work, and play in one of the most magnificent places on earth. He could not feel more fortunate and honored to share it with some of the best men on the planet. "Big Sky Bravery fills a vital niche and looks to serve those who protect and serve us all. I was thrilled to be able to help such an amazing program and look forward to all the adventures and friendships to come." Blake grew up in Birmingham, Michigan where he learned about the woods, rivers, and the creatures of the land early on with his father. After graduating from Michigan State, he moved west to search for bigger mountains and wilder places. After working for years as a cowboy and horsemen from Oregon to the the Caribbean he settled in what he thought was paradise. "It's here that I hunt, fish, ride (4 legged, wheeled, board or skis), camp, float, hike, shoot, explore, all around enjoy the great outdoors, and the great freedom that comes from them; freedom that these warriors, these amazing souls have given their ultimate sacrifice to protect and endure. It's about time we shared some true Montana with them and help them remember what they're fighting for and that there's places like this for them when they open the next chapter."